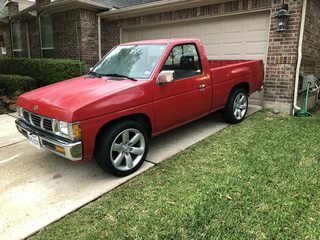 Hi everybody, my name is Jon and I just bought a 1994 Nissan hardbody 2WD XE regular cab truck. Before I start I would like to tell you a little story. 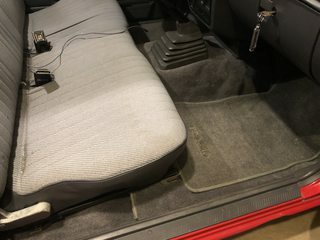 I have been a Nissan owner since my very first vehicle back in 1995. 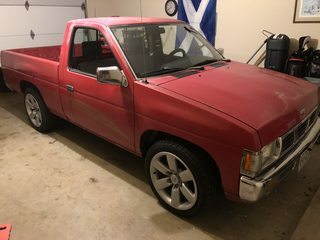 I bought a 1994 Nissan hardbody truck. It was black and I loved it. Fresh out of high school, I found myself in that truck all day every day. 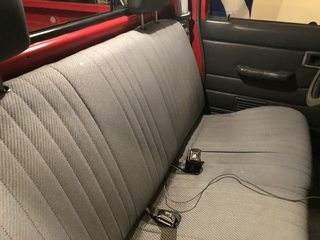 I loved it so much that I even upgraded in 1997 to a new exact same truck. Same color, same wheel base, same options, same everything,. 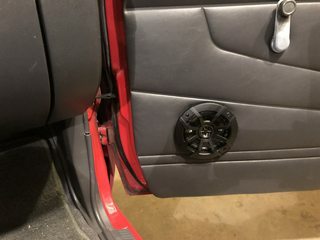 That was the start of my Nissan for life journey. Since then I have owned two Altima‘s, one Pathfinder, two maximas, and two frontiers. I always love that little truck. My daily driver is a 2017 Nissan Maxima Platinum. More about that later. Fast forward to March 2018. 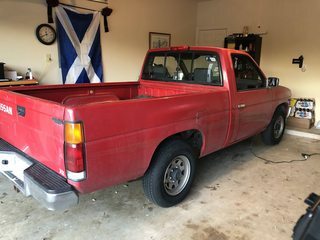 After cruising the Internet for the last six months to find a decent hardbody to buy as a project, I finally came across Little Big Red. I really wanted one in black, but I could not pass this up. 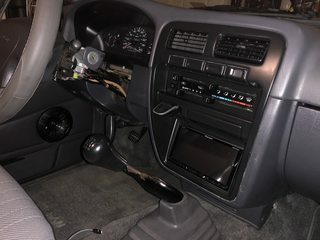 Paid $1900 for it it was a single owner with 190,000 miles. 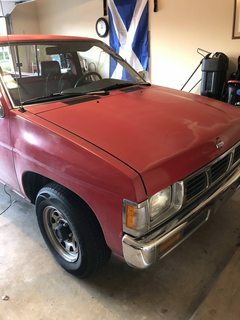 It had been sitting in this old man’s garage since 2015. The resurrection of Little Big Red has begun. 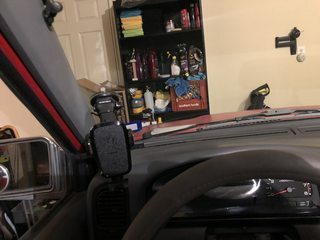 I hope everyone enjoys my posts, I am a newbie when it comes to cars, never really did much from a mod standpoint. I am interested to learn from everybody here, I see a lot of knowledge on this site. I can’t wait but please bear with me as I am not smart like you. Last edited by jonmalexander; 05-07-2018 at 04:29 AM. Lots of pics, you'll be right! Ok. Looking forward to see the truck! I scraped all of the glass with a razor. Last edited by jonmalexander; 05-07-2018 at 04:30 AM. Reason: Did some stuff. Looks clean! Keep posting, I'll be watching! Thoughts? I am stumped here.